SAN ANTONIO, Texas—Ernest (Ernie) R. Herron Jr. received the District 7 Texas Farm Bureau (TFB) Pioneer Award for his contributions to Texas agriculture and the organization during TFB’s 80th Annual Meeting today. 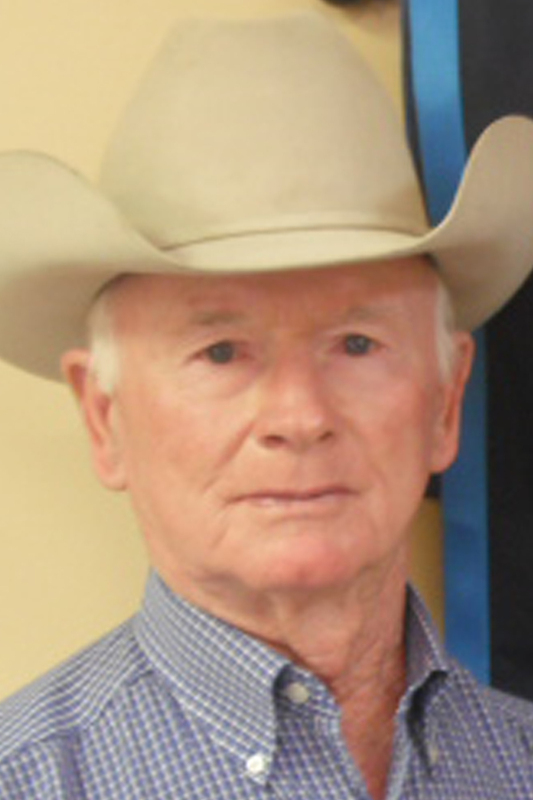 Herron joined the Palo Pinto County Farm Bureau (CFB) in 1993 and was elected as a director. He has served as secretary, president and is currently the CFB’s vice president. In addition to serving on a number of county committees, Herron volunteers for Ag Field Days, junior livestock shows, teacher workshops and youth scholarship programs. Herron chaired the state Horse and Animal Health committees, attended the American Farm Bureau Federation Commodity Conference in Washington, D.C. regarding horse slaughter and has met with Texas Thoroughbred and Texas Quarter Horse organizations to discuss Farm Bureau’s support of video terminals at Texas race tracks. Prior to joining Farm Bureau, Herron, who grew up on the family farm, served in the U.S. Air Force and then worked as operations manager at Dallas-based Pfizer. After 30 years, he retired and moved to Lone Camp to become manager of a cow/calf and hay operation. He has served on the Texas AgriLife Extension Beef and Forage Committee and has chaired its executive council. Herron is also a member of the Palo Pinto County Soil and Water board and is president of the Rolling Plains Association of Soil and Water Conservation District. District 7 Pioneer Ernest R. Herron Jr.